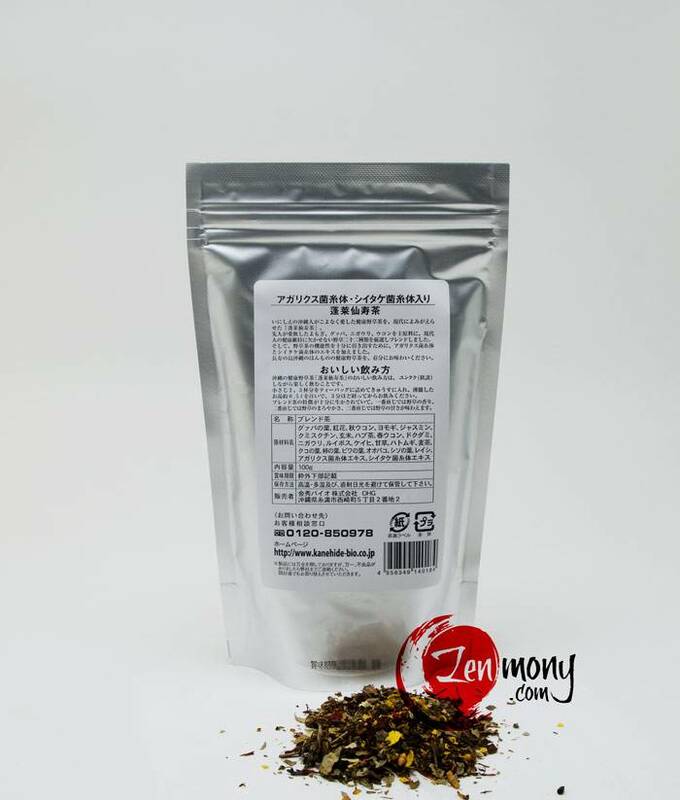 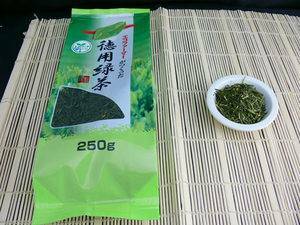 In this product we carefully blended 22 wild herbs including mugwort, guava, balsam pear, ukon as main components which Okinawa people have been fond of since ancient times and which are indispensable for sustaining modern people's health. 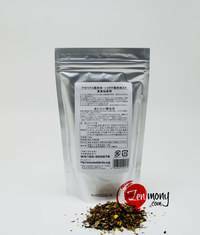 To boost up the functionality of this product even more we added Agaricus Blazei Murill mycelia extract. 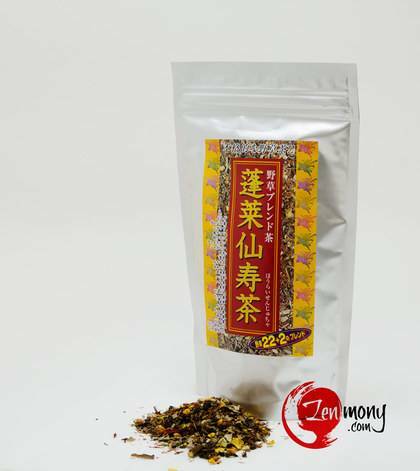 Please try this authentic wild-herbs longevity tea . 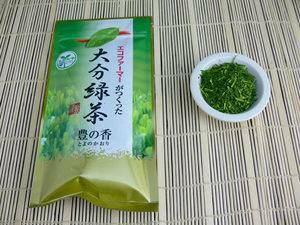 Usage: Take 2-3 teaspoons for 0.5L of hotwater. 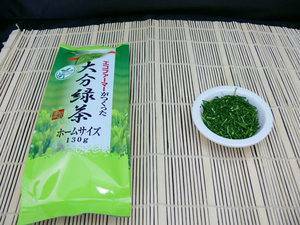 Wait for 3 minutes. 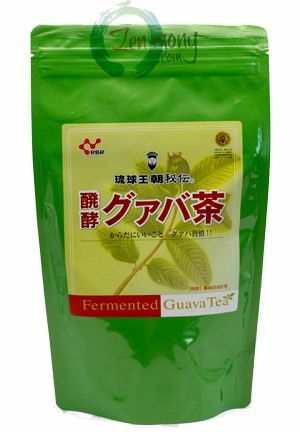 Components: Guava leaves, autumn ukon, mugwort, jasmine, Kumis Kuching(Orthisiphon stamineus), senna tea, spring ukon, balsam pear, licorice, pearl barley, Reishi, Agaricus Blazei Murill, Reishi, Shiitake mycelia extract and other.